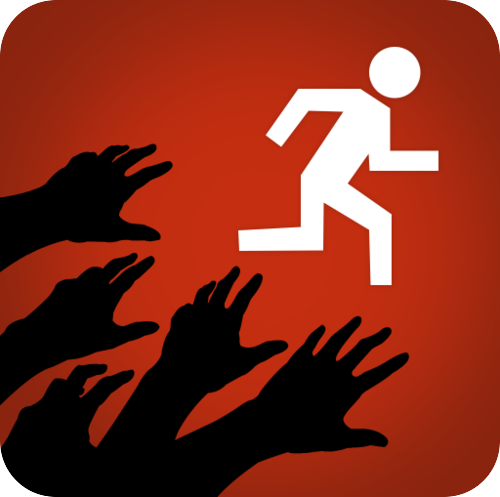 Zombies, Run 2 is an immersive fitness game that combines your daily run (or walk) with the art of escaping zombies! To start the game, you are instructed to pop in your headphones and choose a mission. You are Runner 5, a new recruit to Abel Township. The world has been dealing with a Zombie problem for about 5 months. You are informed everything via Comms (your headphone) and each mission (collect fuel supplies, save a child, notify other townships of pending zombie attacks) is delivered through incredible storytelling and voice acting. 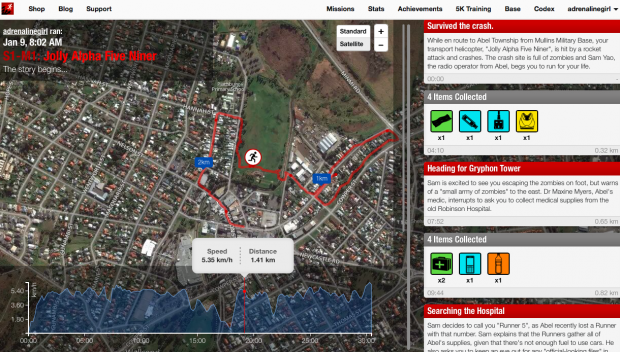 As you walk or run, the app tracks your movement and the story progresses as you move. Each mission (in my experience) goes for around 30 minutes. As an added thrill, you can switch on Zombie Chases. Basically, you will be randomly notified during your mission that their are zombies closing in and you need to increase your speed. If you speed up, and maintain the faster pace, you will escape the zombies. If not… well… you will have to play to find out! Determined to survive, I walk on! Zombies, Run 2 has provided me with the most extrinsic motivation to exercise since doing P.E meant wearing shorts to school. 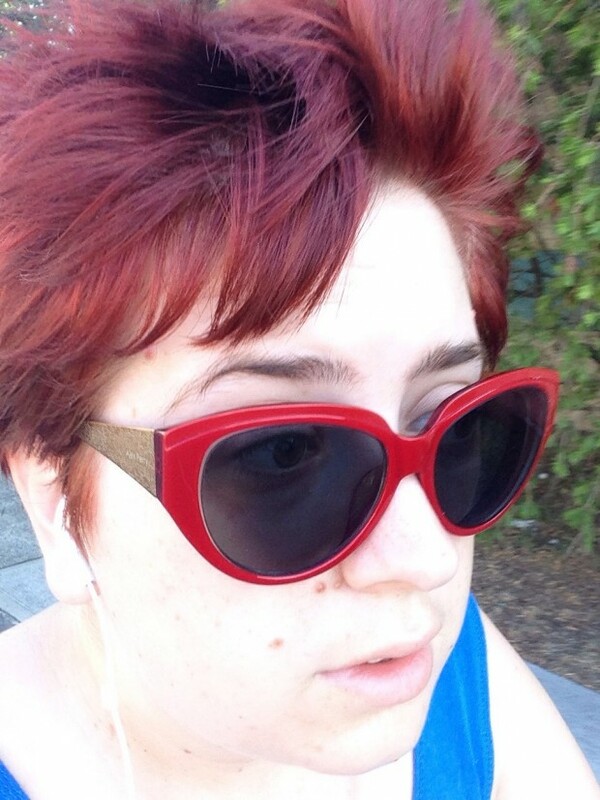 I actually walked longer than my allocated timeframe simply to find out what happens in the audio narrative. I love the British accents of the voice actors and find the plot to be simple enough to follow virtually yet filled with complexities that keep me surprised. I also love how adaptive the Zombies, Run 2 is. While it tracks you, it visually shows you how many mins / km pace you are walking / running at and modifies the challenges based on your natural speed. I didn’t feel like the pace it encouraged was difficult to achieve, as it had been somehow created from my own slightly slow gait. It measures how far you’ve travelled overall in kilometres and also keeps track of your different speeds. Zombies, Run 2 can also be synced to an online portal, ZombieLink, which can be shared with friends. There are also collectables to pick up as you walk / run! Randomly dispersed throughout your journey are tinned food, clothes, batteries and other useful survival gear. You pick up the gear simply by moving. At the end of your run, you can use the gear to build a Command & Conquer style base in a mini game accessible on the app or web. Overall, my pleasure in this game has been obtained from having something to motivate me as I face the outside world of fitness. I’ve never been a big fan of Zombies, but the human element of the plot shines through. I will walk / run through all of Season 1 in Zombies, Run 2 (Yes! There are more seasons available!) whenever I am walking alone. 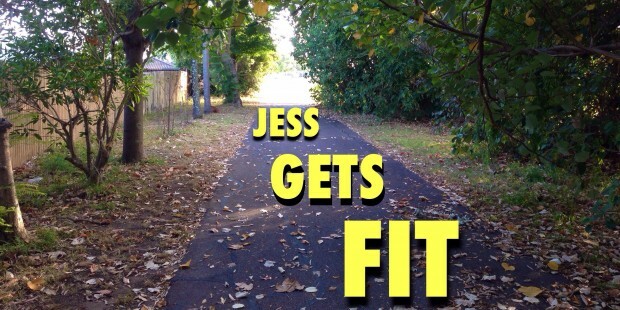 I have since discovered that (developer) Six To Start with (author) Naomi Alderman have developed a few other fitness games including the following, which I am keen to try out. I also enjoyed reading a bit of behind the scenes stuff at the Six To Start blog which will appeal to developers, gamers, fitness freaks and the general reader. Has anyone else played Zombies, Run 2? Let me know your experiences. I’ve been looking at this since you told me about it yesterday; I reckon I’m going to try it tomorrow after work. Hugh, you have the opportunity to save the world. Why would you not take that !